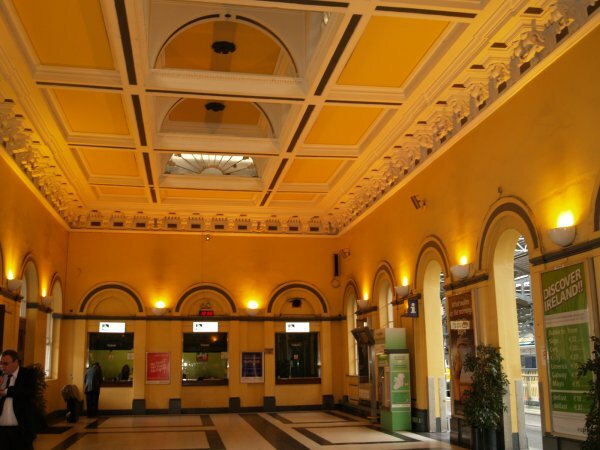 The splendidly restored booking office of Heuston Station. 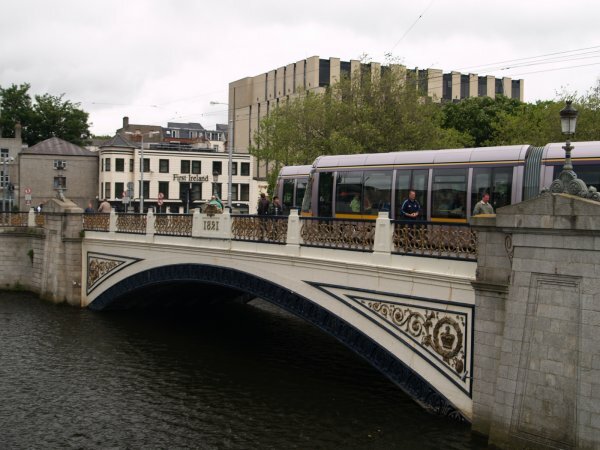 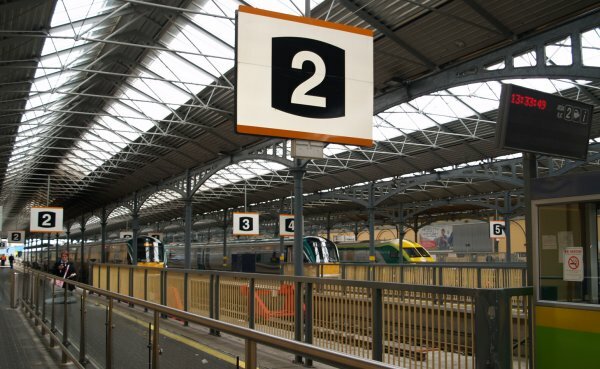 The main-line trains at Heuston Station to Cork, Waterford, Limerick, Galway and Killarney. 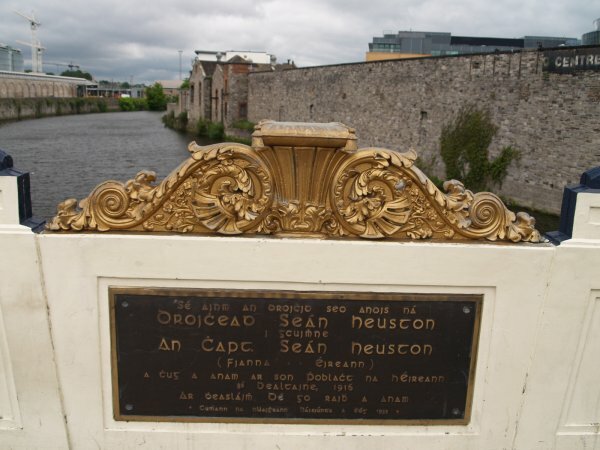 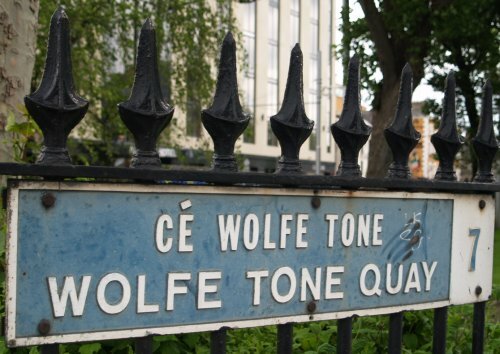 The name of Wolfe Tone Quay reminds us of one of the many figures involved in the struggle of Ireland to be an independent nation. 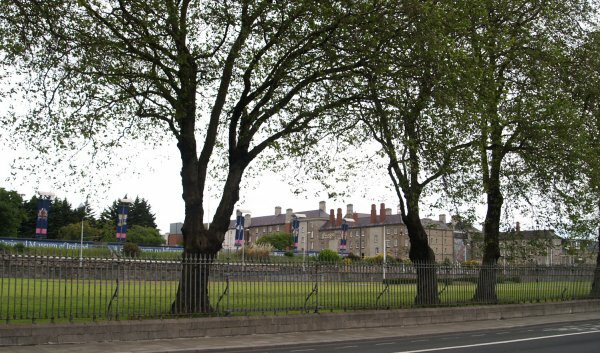 The National Museum housed in the Collins Barracks (built 1704). 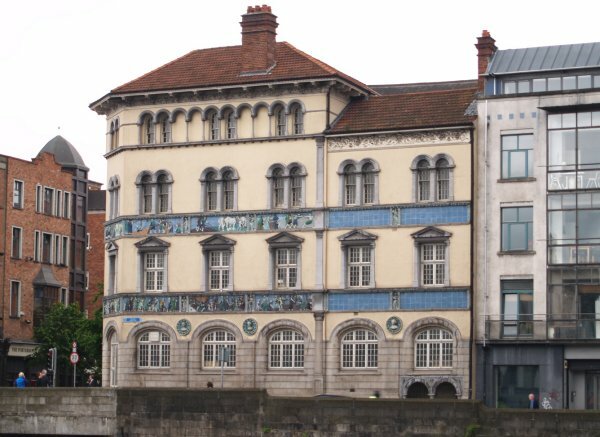 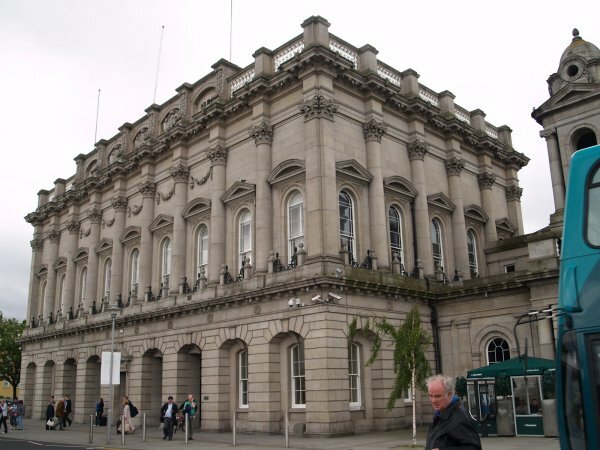 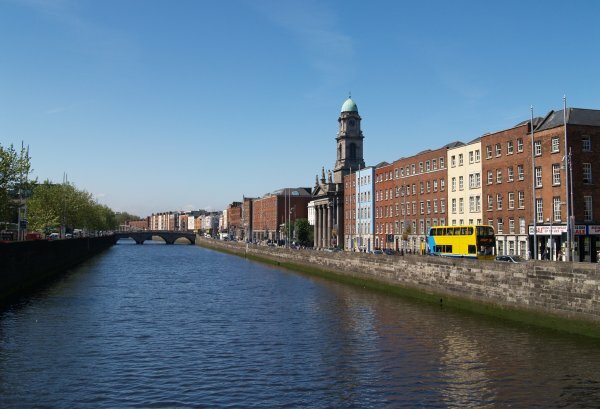 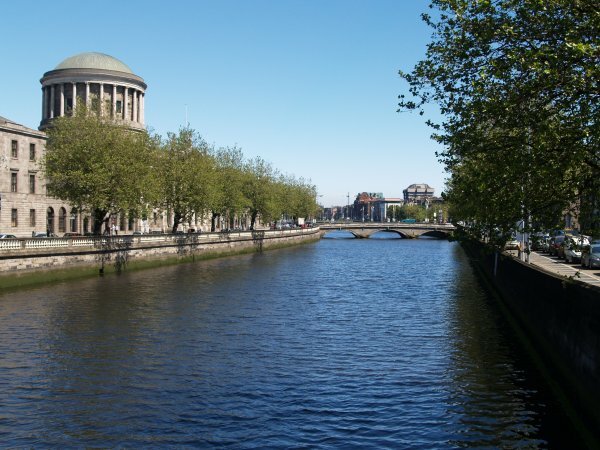 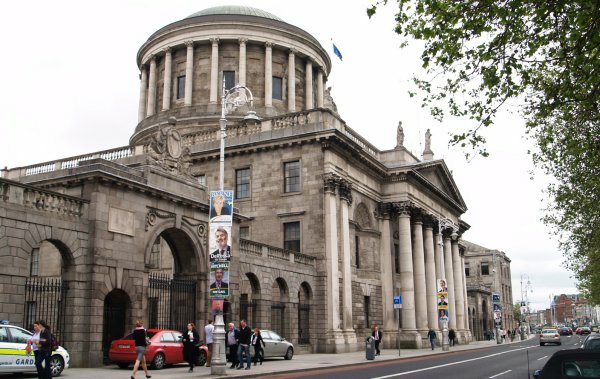 The Four Courts building (1785) viewed from the south side of the River Liffey. 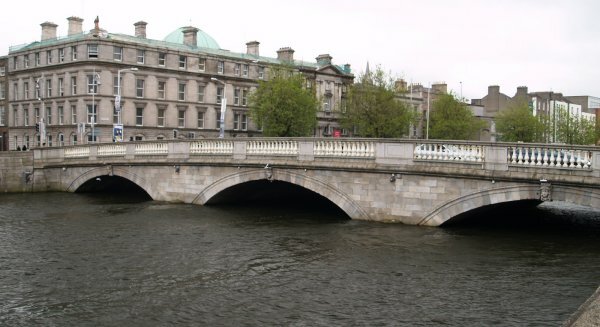 O'Donovan Rossa Bridge 1816 with the tower and spire of Christ Church Cathedral in the distance. 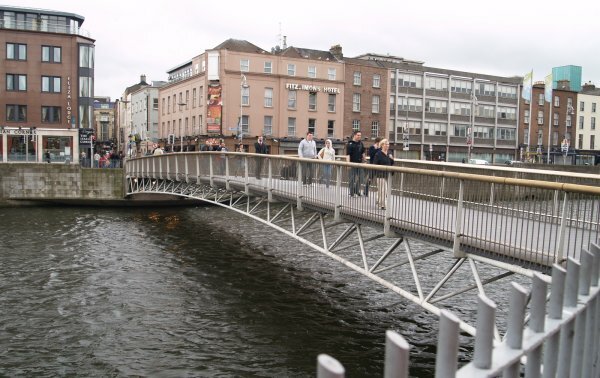 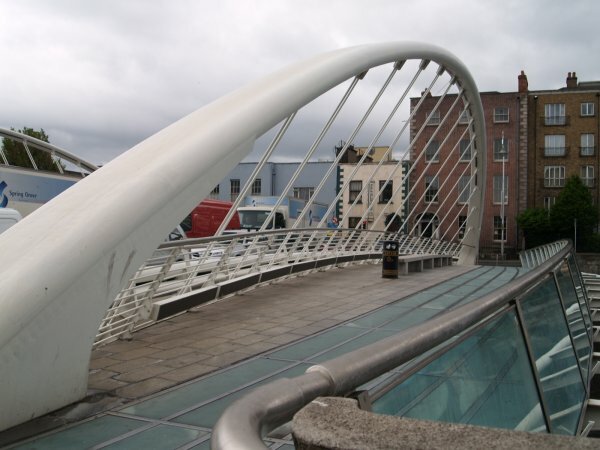 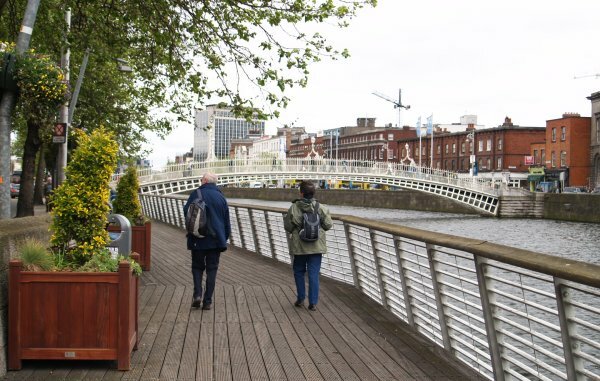 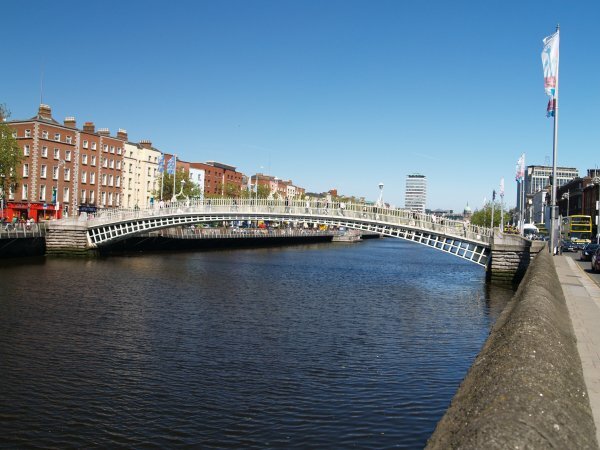 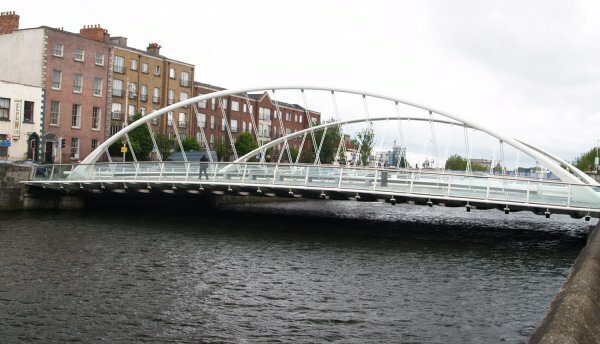 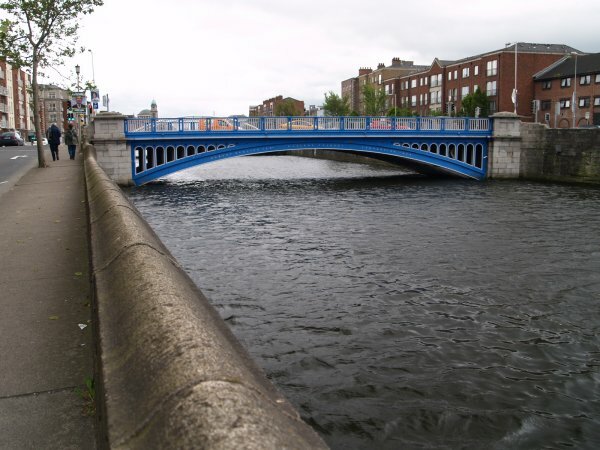 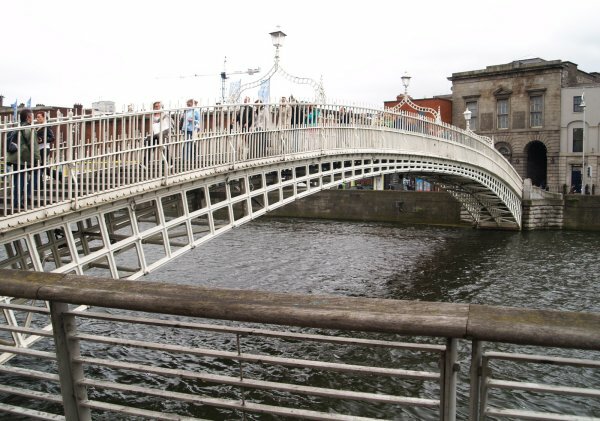 The Millennium Bridge and the Ha'penny Bridge beyond it. 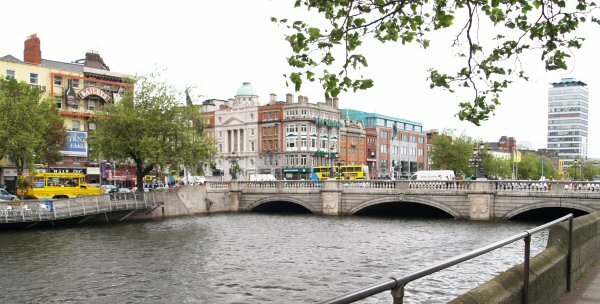 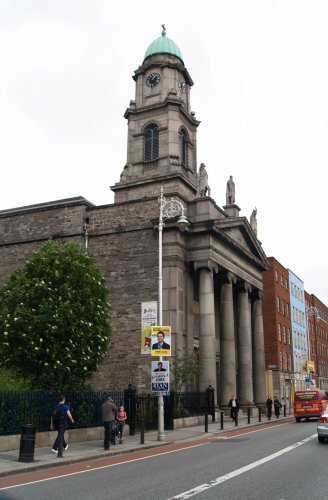 Over we go to Temple Bar! 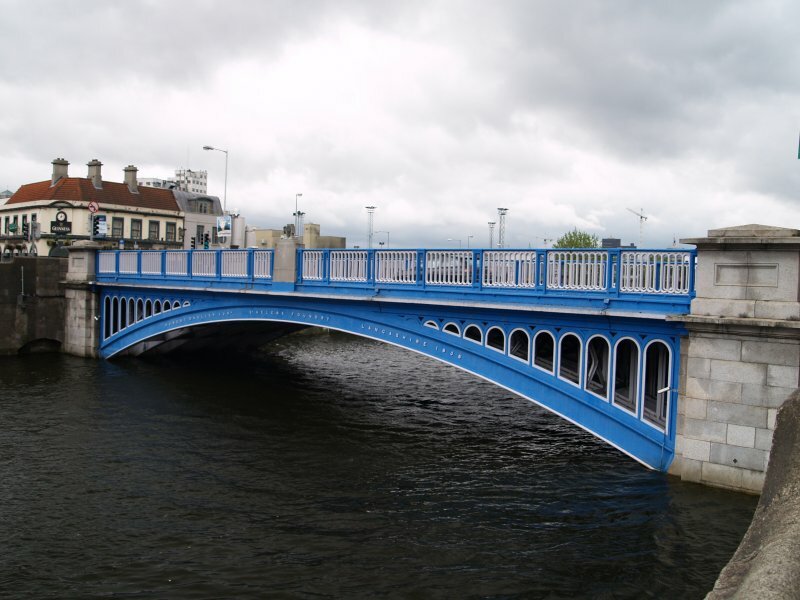 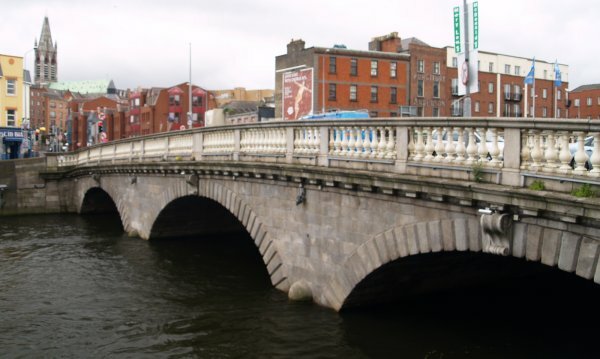 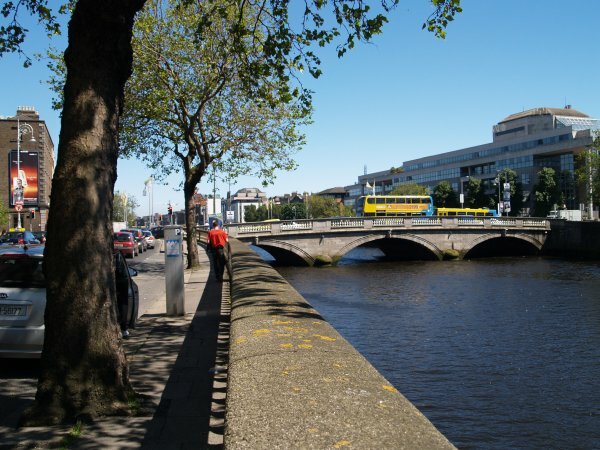 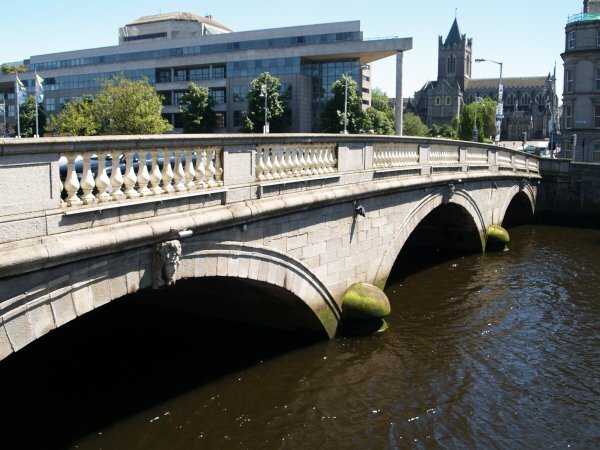 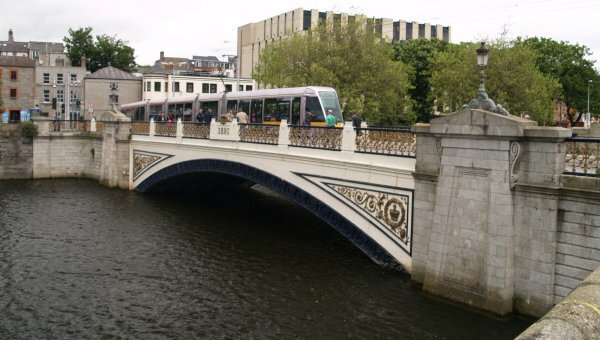 The O'Connell Bridge 1880 and O'Connell Street itself goes north on the left of the bridge. 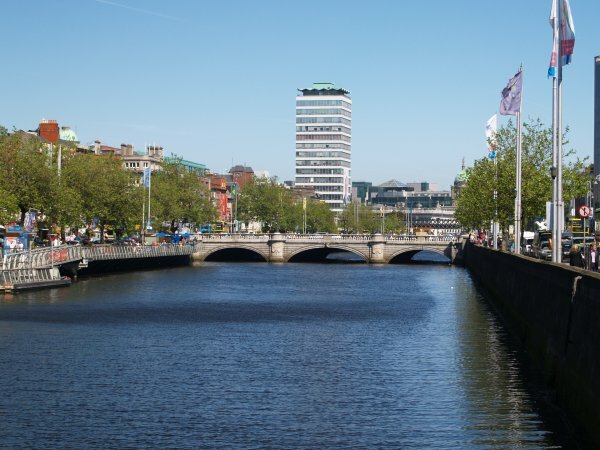 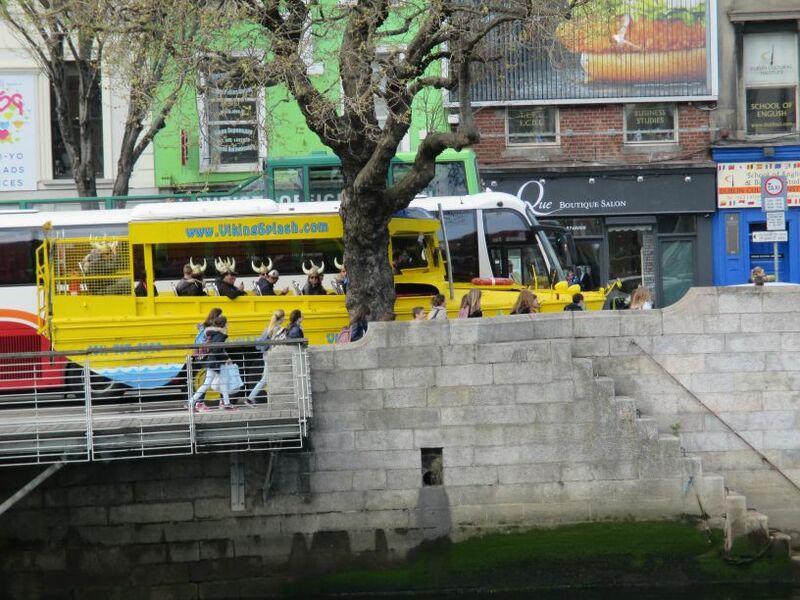 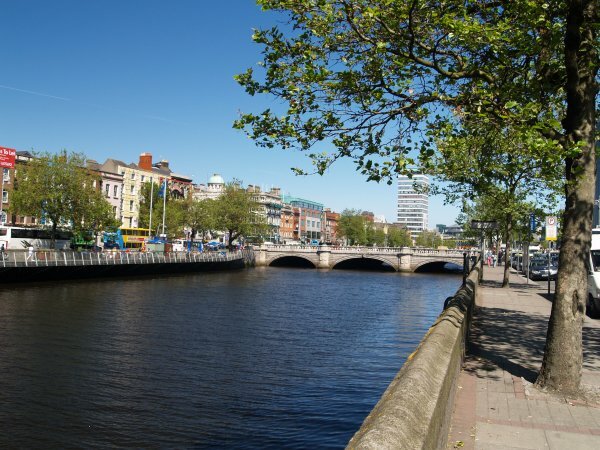 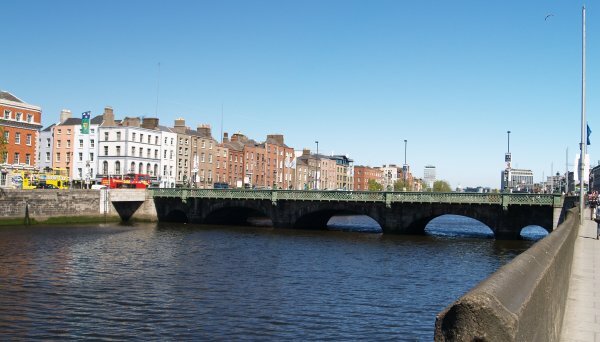 The Viking Splash Tour near O'Connell Bridge, traversing both road and water!